ArogyaWorld, formed in 2010, is a global health non-profit working to prevent non-communicable diseases (NCDs) through health education and lifestyle change. As part of the Clinton Global Initiative Commitment (CGI) in 2013, ArogyaWorld is committed to identify Healthy Workplaces through its Healthy Workplace Programme to help 1 million working professionals lead healthy lives. The Healthy Workplace Initiative is a key programme to motivate companies in India to invest in Workplace Wellness through pioneering Healthy Workplace Awards. Activ Doctors Online is proud to be a knowledge partner to ArogyaWorld as part of the Healthy Workplace Initiative and help build the prevention ecosystem. Vodafone India is the second largest mobile/telecom operator in India with 185 million subscribers present across 26 circles. 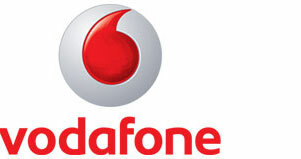 Activ Doctors Online is proud to be the mHealth partner for Vodafone India. Doctor-On-Chat services for Vodafone Subscribers to instantly answer medical queries.